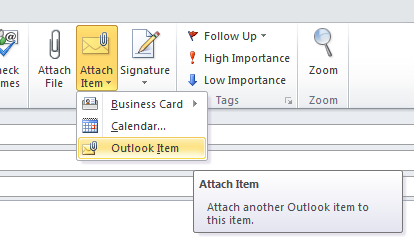 You already know you can attach a file — like a Word document or an Excel spreadsheet — to an email message in Outlook. 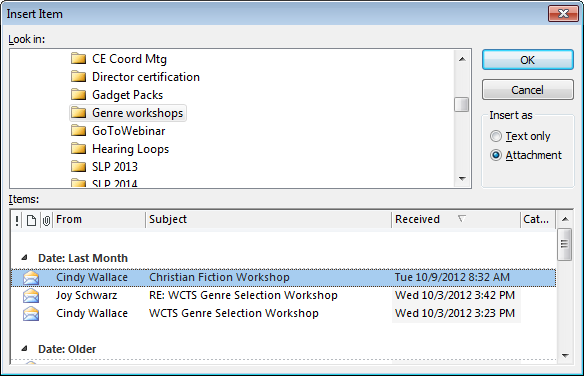 But did you know you can also attach one email message to another message? Browse through your folder list to find the folder that contains the item that you want to attach. Under Items, click the item, and then click OK.